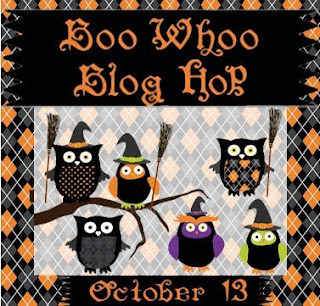 Thank you for joining us on My Cricut Craft Room's Boo Whoo Blog Hop. 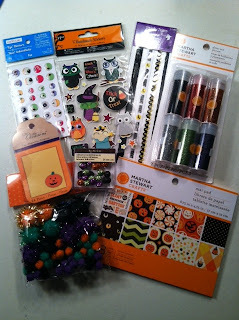 Today's sponsor is Erica's Craft Room, please comment on all of the blogs to be entered to win the prizes. The Teresa Collins Chic & Scary cricut cartridge, as well at the Pumpkin Carvings Cricut cartridge. You must be a follower of My Cricut Craft Room to win. I have made a Halloween card to share with you today. This bear comes from the Teddy Bear Parade cartridge. I just thought in her witch costume she was adorable. I really enjoy making Halloween cards as the colors are so pretty. I added some ribbon with a big purple gem in the middle to match some of her pieces on her dress. The tag is from K&Company and I attached it to the card with a Spare Part Clip. I did stamp the sentiment "The Witch is in" on the tag. After rounding the corners then adding some buttons, twine and other embellishments the card is finished. Enter our 500 Follower $100. Joanns Giftcard Giveaway HERE! Your next stop is the very talented Anita! Just love your card, it is just adorable! Love all the detail and colors, Halloween colors are so fun! Super cute card-I am going to have to get that cartridge! I am a follower! Happy to be in the hop with you today! Tara, as always so fabulous. These are too cute!! Great Card, I love TBP, there are so many cute cuts on it. My goal this weekend is to use that cartridge for some cards. I am already a Follower of your wonderful blog. I love your card!!! Your stuff is always amazing!! Happy to be in the hop with you ! That Teddy Bear is just darling! I am a new follower! Great job on your hop project! That card is adorable. This cartridge is now on my wish list. Thanks for sharing. Love,love your teddy card! That cartridge is sooooo adorable! Love your site as well! Already a follower of your fabulous work and blog!!! So much to love about this cute card. Adore the layout and design, love the added stitching, and such a cute little sentiment. I really l like your fun Halloween background make-over here at the blog too. Wish I could reach out and grab some of that candy corn...yummo! I love this card! That bear is too cute! Glad to be hopping with you! Love your card! TB Parade is my fav cart right now. TFS. I love the card. Such a great idea to add all the little extras - it looks so good! Your work is so amazing Tara. I love it. So man beautiful details on your project. Thanks for the chance at the Halloween goodies as well. Love the bear. Which desert are you in? I just moved from Nevada to Washington. First of all, your blog design is awesome!!! Love the bats, pumpkins and candy corn raining down the page are so fun! Your card is darling! Glad to be in this hop with you!! Ok so I am IN LOVE with your blog design... I also use Sarah... isn't she great??? 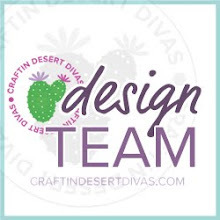 Well we now have a few more things in common.... One of those things is that we are both members of My Cricut Craft Room Design Team effective today. 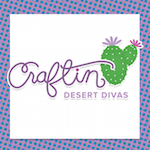 Please join the Erica's Craft Room New Member's Facebook group. Thank you for being in today's hop! What a great Halloween card! It is well designed, and the teddy bear is super cute. Your blog is fantastic!! 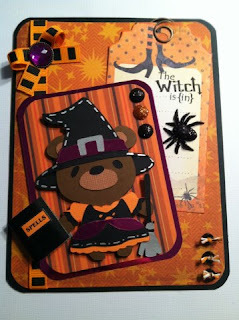 Love your bear card...so fun. and love your confetti on your blog..very cool! Hi Tara, super cute card!! Love your Teddy Bear witch...adorable! Thanks for the chance to win...following you now! Cute card. I will have to look for this cartridge. Super cute card, I love it. Thanks for sharing. Cute is what I am all about on Halloween! Totally my style and adorable...cannot wait to get this cartridge! Tara~ I SO LOVE your use of the new Teddie Bear cart!! Congrats on making MCCR DT!! You are going to love being on such a fun team!! Wow, love your card!! That little bear is super cute! Your card is adorable and so is your blog. Oh this is the most adorable card. I love taking cute things and making them into seasonal ideas. Great card. I am now a follower and will definitely be back. Thanks for sharing. Love that card...I need to get this cartridge soon! I am now a follower. Thanks for the opportunity to win. I love your card. You do amazing work. I have been a follower for a while and I am so glad. I seen that you were chosen to be a member for My Cricut Craft Room. So happy to have you as a Design team sister. Aaaaah, so cut. She is ready for Halloween. Teddy Bear Parade is one of my new favorite cartridges. Great project! Love the bear! I think I am going to have to add that cart to my collection. I follow your blog now too! Alreqady a follower. Thanks for the chance to win some extra candy. Great project. Awesome card. Love the work you do. I am one of your followers. Darling card! I love all the layering on it! I am already a follower here! Thanks for the chance at the candy! That Teddy Bear witch is just so sweet! Wish my WM would sell this cartridge! Thanks for the chance to win your cute candy! Love that paper! Your Card is very, very cute - I love using my Cricut - I also like the falling bats, corns, pumpkins on your site! Thanks for the hop! Such a cute card and I love your blog graphics! !